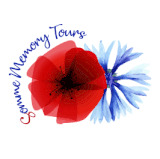 Carole Deneux is a french guide, she's from a small village in the Somme called Etinehem, from there she started to be interested about the First World War. 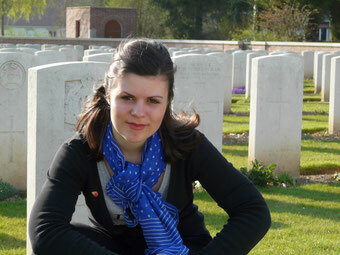 There she discovered that her great grandfather fought during the battle of the Somme and was buried in Rancourt. After her A level in Albert she went in Amiens during two years for studying about tourism and following this she went in Boulogne-sur-Mer during one year for being a professional guide "guide conferencier" in France. After moving in the tiny village of Carnoy-Mametz she was more in the center of the front line on the 1st July 1916. From there she learned more about the Franco-British offensive in 1916. She then gained more knowledge about the Westren front.